Image credit: Trophy Hunters Rejoice commercial. There’s finally a reason to pay attention to the Sony Rewards program: you can now start trading in new PSN trophies for money on your PSN account. 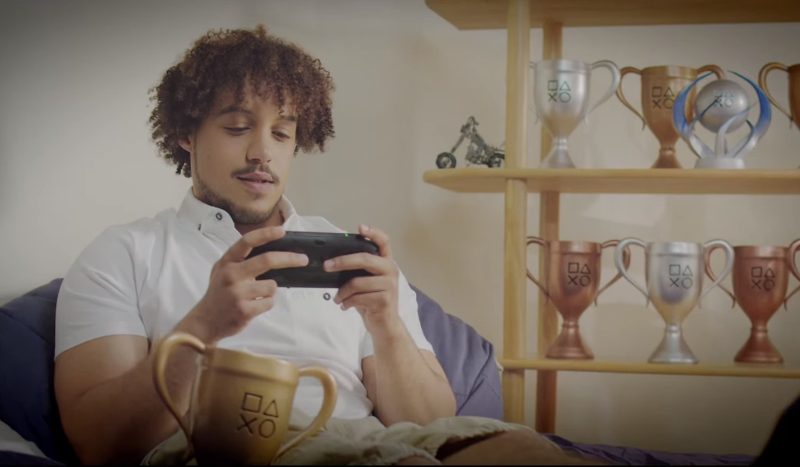 A new section of the Rewards Passes page over at the Sony Rewards website that appeared late week lists silver, gold and platinum trophies as milestones you can fulfill to earn points. Those points can in turn be redeemed for actual money on PSN. It’s not much, mind you, and the language surrounding the trophies section makes it sound unclear as to whether these rewards be earned more than once, but it’s at least something for all of those grueling hours spent trying to get jump through video game hoops. 1,000 points can net you a $10 PSN voucher, meaning that once you collect 10 new platinums (no small feat mind you) you’ll have enough to buy a cheap indie game or put towards a larger purchase. As for the silver and gold trophies, that amount of points is closer to getting you a few songs, if that. So the next time you’re grinding to get that last silver in Ratchet & Clank while your loved one looks on in bored disgust, you can say your doing it to get digital copy of The Mask of Zoro they’ve always wanted. Just to satisfy my own curiosity, I did a little bit of math to see what this new exchange rate would mean for the most dedicated trophy hunter. Currently, Roughdaw4 (Yay PSN names) is at the top of the trophy leaderboard with 15,551 silver, 6,903 gold, and 1,359 platinum. If he were able to theoretically redeem all of those at the current rate, that would mean around $1,583 for all of that work or approximately 25 full priced game downloads. In order for the trophies to count towards the reward, however, you must be signed up for Sony Rewards and have your PlayStation account linked to it prior to earning them, so if you do decide to start farming for that sweet, sweet trophy lucre make sure to do that. Also, that part of the program is currently only available in the United States.